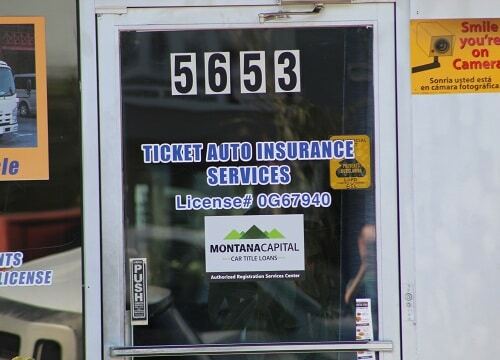 Ticket Auto Insurance provides registration services for Montana Capital Car Title Loans customers. 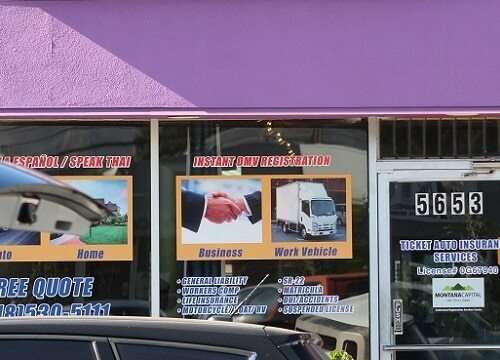 The store is located at 5653 Cahuenga Blvd, near the intersection with Collins St. 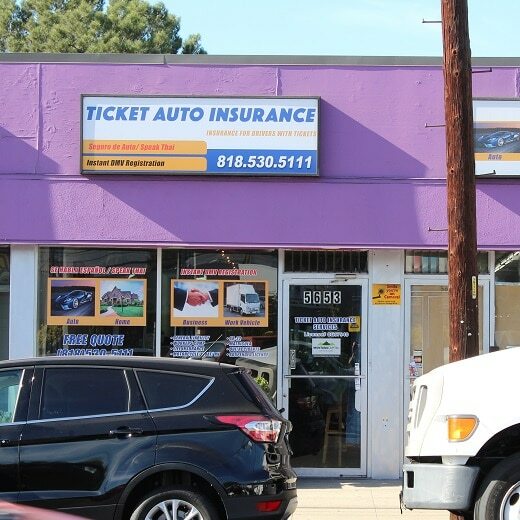 If you live in North Hollywood and in need of registration services, stop by Ticket Auto Insurance that works with Montana Capital Car Title Loans in North Hollywood. Ticket Auto Insurance provides our clients with unmatched customer service. Montana Capital Car Title Loans does not issue loans at this location. North Hollywood was one of the areas developed by Lankershim Ranch Land and Water Company back in 1887. Isaac Lankershim was an investor, a grain farmer and stockman who planned to grow oats and raise sheep on the property. When his son took over management, he decided to use dryland farming techniques to raise wheat. His theories proved correct and the Lankershim property and his company became a large wheat-growing empire. Before 1887, the area was known as Toluca, but in 1896 it took on the name of its developer; Lankershim. It was only in 1927 that the name was changed to North Hollywood, which is how we know it today. Oats and wheat are not the mainstay of North Hollywood today, but rather television arts and sciences and film making. Hopefully you’re one of the city’s residents who are making a decent living and are not in need of money. But if you do need to lay your hands on some quick cash, we might be able to help you. Anyone who owns a car can apply to Montana Capital Car Title Loans in North Hollywood for quick cash relieve through a car title loan. Our loans begin at $2,600, and when you receive the cash you can use it however you wish. Contact us today for more information on how you can get a fast personal loan. We’ve made the application process super easy by putting it all online. Get started at home by filling it in and submitting it to Montana Capital Car Title Loans in North Hollywood. We’ll review your request to determine which kind of car you own and its value. If it is worth enough money to use it as collateral, we’ll proceed to confirm your ability to make the loan payments and that you fit into our credit criteria. Then it’s a go! You’ll hear from one of our staff members how to complete the pre-approval process. Once you have been approved and you have the fast cash that you requested, you will still be able to hang onto your car. We only need to use its value, which we can do simply by adding our name to the car title. So if your car has enough value to secure a loan, you’ll be hearing from us!